20th Century Fox has unveiled a new official trailer for the much-anticipated music-driven drama, Bohemian Rhapsody. The film stars Mr. Robot‘s Rami Malek as Queen’s lead singer, Freddie Mercury, and the new trailer shows Malek absolutely nails the part of the iconic singer. 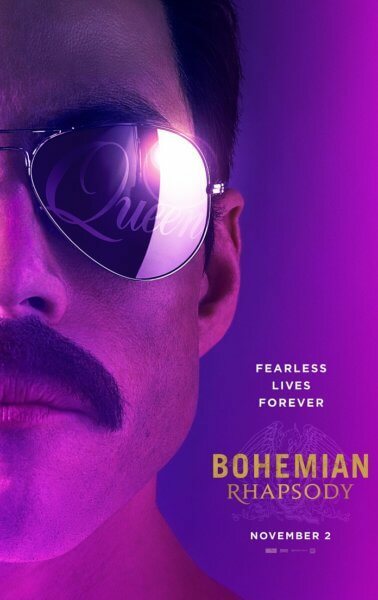 In addition to Emmy Award winner Rami Malek, the Bohemian Rhapsody cast includes Lucy Boynton (Murder on the Orient Express), Gwilym Lee Midsomer Murders), Ben Hardy (Only the Brave), Joseph Mazzello (G.I. Joe: Retaliation), Aidan Gillen (Game of Thrones), Tom Hollander (The Night Manager), and Mike Myers (The Austin Powers films). Dexter Fletcher (Eddie the Eagle) took over as director after the studio and Bryan Singer parted ways. The behind the scenes team includes director of photography Newton Thomas Sigel, editor John Ottman, production designer Aaron Haye, and costume designer Julian Day. 20th Century Fox is targeting an awards-friendly release date of November 2, 2018. The Plot: Bohemian Rhapsody is a foot-stomping celebration of Queen, their music and their extraordinary lead singer Freddie Mercury. Freddie defied stereotypes and shattered convention to become one of the most beloved entertainers on the planet. The film traces the meteoric rise of the band through their iconic songs and revolutionary sound. They reach unparalleled success, but in an unexpected turn Freddie, surrounded by darker influences, shuns Queen in pursuit of his solo career. Having suffered greatly without the collaboration of Queen, Freddie manages to reunite with his bandmates just in time for Live Aid. While bravely facing a recent AIDS diagnosis, Freddie leads the band in one of the greatest performances in the history of rock music. Queen cements a legacy that continues to inspire outsiders, dreamers and music lovers to this day.